If you value your life, don't dare to suggest to Nick Chatterton that he's not a good writer! 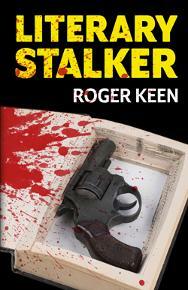 My new psychological metacrime thriller, Literary Stalker, is now available in paperback and Kindle on Amazon sites worldwide. Obsessional, narcissistic author Nick is penning his ‘masterpiece’ – The Facebook Murders – killing off his enemies in the manner of Vincent Price in the 1970s horror classic Theatre of Blood. But as he gets deeper and deeper into imagined worlds, can he be sure where fiction ends and real life begins? In this fourteen-minute film, I visit the model village at Bourton-on-the-Water in the Cotswolds and use it to talk about the metafictional elements in Literary Stalker and other books and films. This model village is a particularly fine example of the art, completed in 1937 after five years of work. 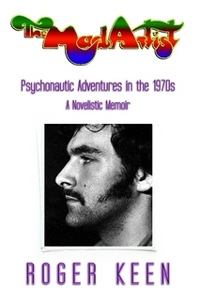 A novelistic memoir, glimpsing into the more rarefied realms of alternative life in 1970s Britain. Available as a paperback and e-book in online stores in the UK, the USA and many other parts of the world.